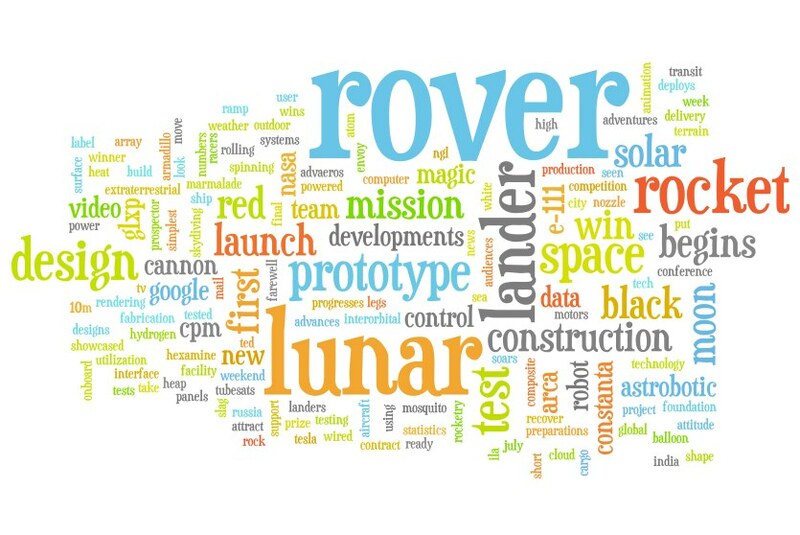 The Launch Pad: What's in a Blog Title? What's in a Blog Title? The Google Lunar X PRIZE is an exciting contest of robots and rockets -- but one of the most important (and sometimes overlooked) aspects of this competition has less to do with the bolts and circuit boards, and everything to do with the stories of the people behind the hardware. To spin the ongoing tale of the Google Lunar X PRIZE competition, the teams post regular blog updates and short videos about what they've been up to. For the past 9 months, I have been capturing the team posts every week in the "GLXP Brief" newsletter, and mailing it out to our list of loyal fans (psst - if you'd like to sign up, you can do so here). The idea is to summarize the weekly happenings of the prize in an easily-scannable format -- just bullet points, blog titles, and an indication if there is a photo or video in the post. From this, it's relatively easy to glean what folks find most compelling when scanning through a list of blog posts. In general, building, designing, and openly showing progress seem to be key. This coincides with results that we see across our other platforms; most people prefer to read and particularly to see progress from the teams. It is also important to note that a majority of the 93 most-popular blog posts also included either a photo, video, or both within the post. This research was done mostly out of curiosity and for fun, but hopefully it will be useful to the GLXP teams as they consider future content or craft the titles of their blog posts/videos. Knowing the key words that people are looking for when searching for your team, organization, or company online can definitely be helpful in making yourself more visible on the web. ...And now if you'll excuse me, I need go work on the title of this blog post. 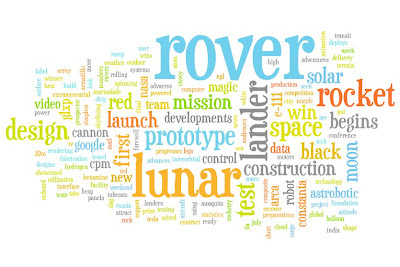 I'm thinking: "Designing and testing blog title prototypes for lunar rover/rocket missions." What do ya think? Other suggestions?